On the blazing hot afternoon of August 9, 1862 a few miles south of Culpeper, Virginia, Confederate Major General Thomas “Stonewall” Jackson led his troops into battle against Union Major General Nathaniel Banks’ corps of the Army of Virginia. The five hour fight saw four Federal brigades surge across corn and wheat fields against three Confederate divisions formed along the road, fence lines, and in the woods. Culpeper’s native son, Major General A. P. Hill, sealed the Confederate victory when his division re-formed Jackson’s crumbled line and led the charge that turned the tide of the battle. For Hill and the other Culpeper men engaged, this was a personal battle to liberate their homes, friends, and family from the Union occupation. 3,800 men were killed or wounded in the shadow of Cedar Mountain by the end of the day — the deadliest day in Culpeper’s history. 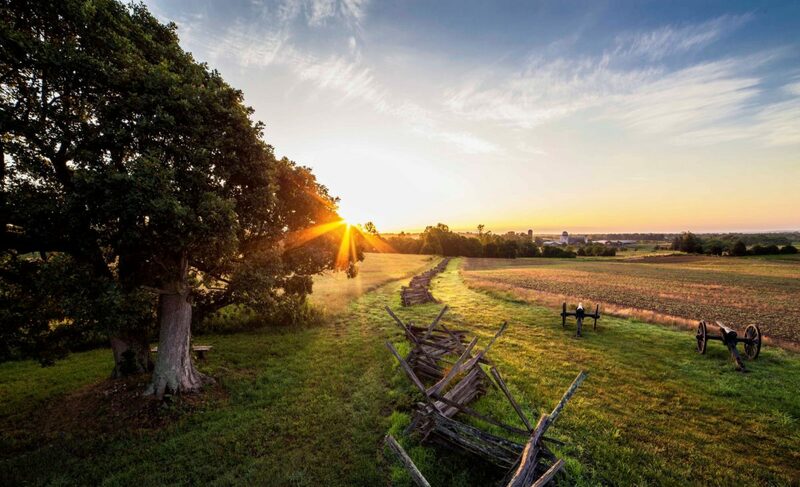 Through historic preservation and education efforts, Friends of Cedar Mountain Battlefield is working to ensure that this battle and the valor displayed by both armies will never be forgotten. Please consider a donation to Friends of Cedar Mountain Battlefield. Your contribution will help support our organization's preservation and education efforts. Read about our recent events: Generations and Park Day!